Abyss: The Wraiths of Eden Review: A Sunken Treasure! It’s always been a surprise to me how popular hidden object games continue to be even in 2017. 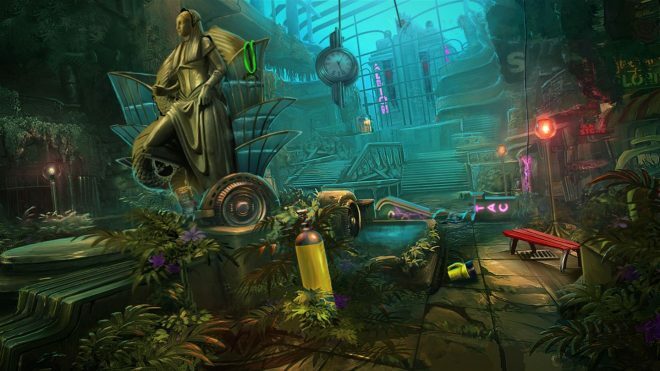 Even after all these years, hidden object games generally stay true to the original formula, but developers have found ways to add unique elements to help stand out amongst other titles. 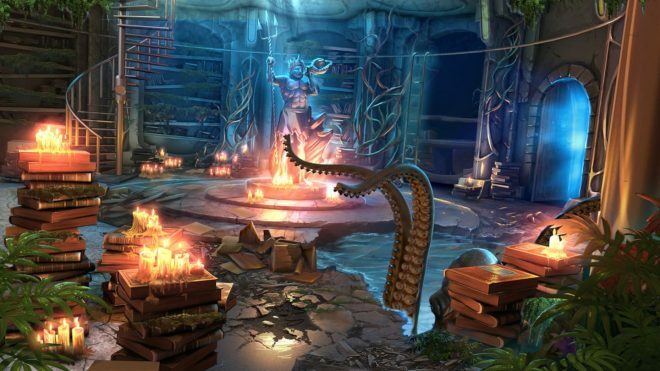 Both old and new are executed well in Artifex Mundi’s Abyss: The Wraiths of Eden. 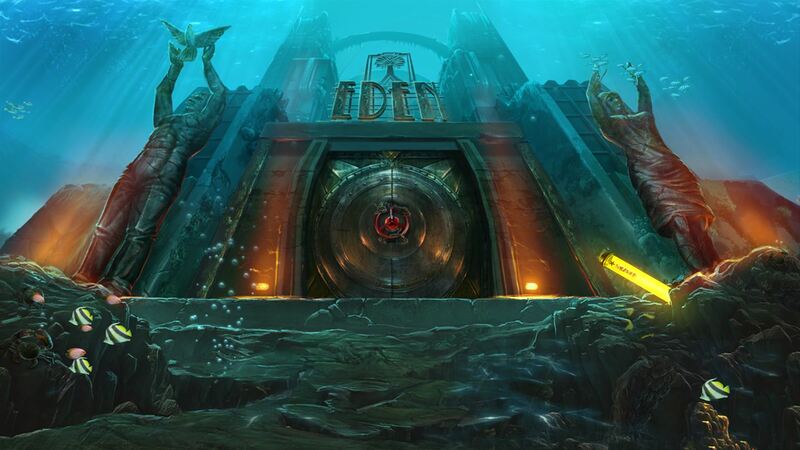 The game focuses around the hidden underwater city of Eden. With news that famous explorer Robert Marceau has gone missing, his fiancé (whom the player controls) goes out into open waters during an immense storm to find him. The search quickly leads to the gates to Eden, what was once an underwater paradise. To find and save Robert, you’ll need to use your brains and brawn to overcome the challenges that await within. Two ways to play – Most of the activities outside of mini-games revolve around hidden object puzzles. While these types of puzzles can be easy for some, it can be a little frustrating for others who aren’t so observant. Luckily Abyss: The Wraiths of Eden adds an alternate game type that revolves around dominos. Simply pressing down on the d-pad will change the game puzzle type from hidden object to the domino board. More interestingly, both can be played together. If the player struggles with finding the last few objects in a puzzle, they can switch over to the domino board which will be simplified to match the progress of the other puzzle. Bonus! –Another unique element in Abyss: The Wraiths of Eden is the bonus episode that unlocks after finishing the game. This short bonus episode, titled “The Rebel,” is a prequel that follows one of the characters from the main game at a time when Eden was still a lively city. It gives players an idea of how events unfolded that lead up the main game. The episode is only about 45 minutes in length but includes a few genuinely mind-boggling puzzles. Would you Kindly? – For anyone who’s played the 2007 hit Bioshock, the first thing that comes to mind upon setting eyes on and around Eden is the city of Rapture. Granted, while there aren’t any Big Daddies or psychopaths patrolling the halls, what is present definitely stands out. An abandoned underwater city that once thrived with life turned into a vacant ghost town where only a few still linger. Seaweed and underwater creatures can be seen outside of the windows. It’s doubtful we’d ever see a point and click game based in Rapture, but Abyss: The Wraiths of Eden almost fills the void. 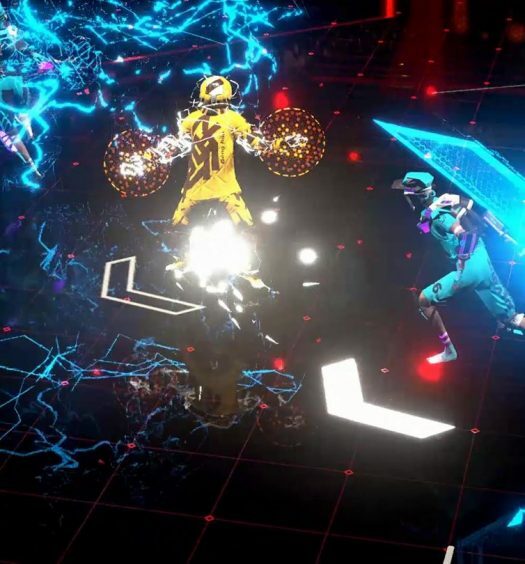 Expert Mode – While I didn’t have really any gripes about Abyss: The Wraiths of Eden, the games harder difficulty labeled expert mode didn’t quite hit the target. On the original difficulty, the player is able to receive hints by pressing up on the d-pad, and they recharge quickly. 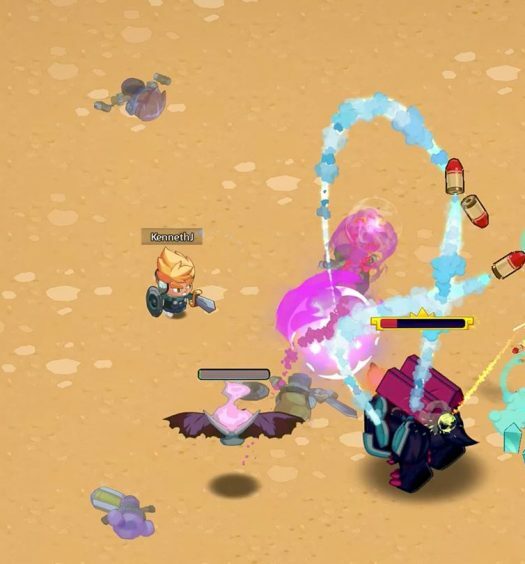 Different areas shimmer to let you know they can be inspected, and the map includes exclamation points to help advise a player that something needs to be done in that room. On expert mode, the shimmery effect is taken out, the map doesn’t have any points to help you, and the recharge on hints is greatly reduced. I started Expert mode on my second playthrough immediately after finishing my first. Everything from where key items were hidden to where I needed to go was still very fresh in my mind. I really was hoping that the various key items I needed would have been shuffled to other places, or even exploring other areas not included in my normal playthrough. Even something as simple as adding a timer to the various mini-games throughout would have added some extra difficulty. Nothing about it felt expert to me. It would have been nice for the game to recommend this mode from the start. 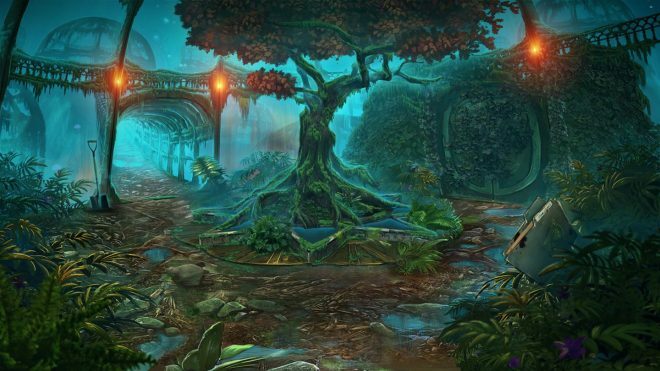 Most hidden object games aren’t very long and Abyss: The Wraiths of Eden is no exception. On my initial playthrough on normal mode, the game was completed in about 4 hours. One thing I definitely recommend is starting on Expert mode for the first playthrough. This will add a bit more time required for completion as you won’t be shown where to go and what to do on a regular basis. This is by no means a difficult game, and even if you become lost, the game still has the hint system available to point you in the right direction. Aside from that, everything about Abyss: The Wraiths of Eden is fantastic. Whether you’re looking for an exciting story to playthrough or just something to test your wits, there’s something in store for you in Eden! Abyss: The Wraiths of Eden was developed and published by Artifex Mundi. It released on October 19, 2017, for $9.99. A copy was provided for review purposes.